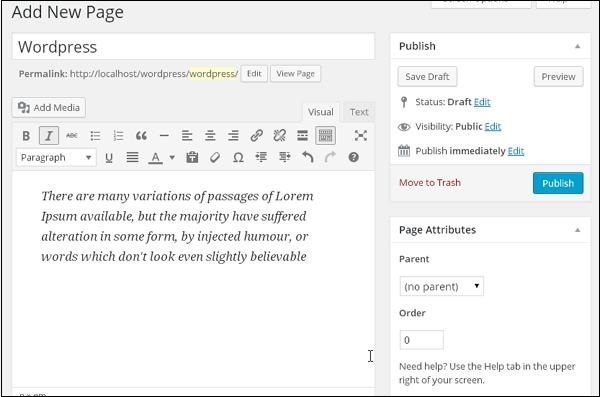 In this chapter, we will study how to Publish Pages in WordPress. The command, “Publish” is used to make the pages available to all users wherein each user can view that particular page. Publishing a new page in WordPress is an easy process. 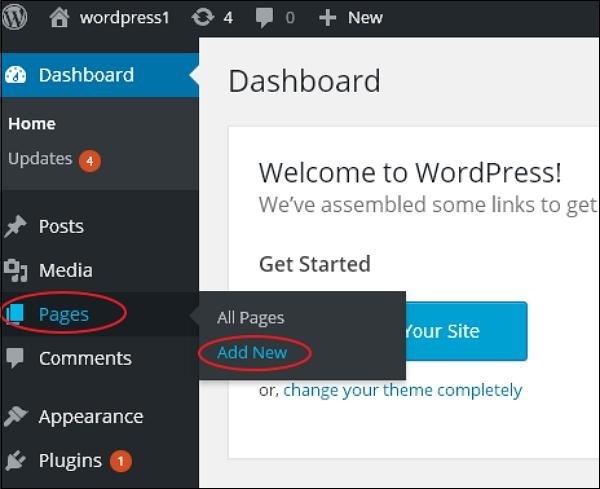 Step (1) − Click on Pages → Add New in WordPress. Step (2) − You will get the editor as shown in the following screenshot. You can use the WordPress WYSIWYG editor to add the actual content of your page. Step (3) − Click on Publish button as shown in the following screen.